Santos Villarreal was one of the best athletes on the Valley sports scene for three years. At Mission Veterans, the 2015 grad lettered in football, track and basketball. He often was the fastest, strongest guy on the field. Villarreal played on both sides of the ball and was on varsity for four years, and his true calling card was as the Patriots’ quarterback. In his high school career, he drilled defenses by completing 475 passes for 6,122 yards and rushing for another 2,812. Villarreal was the team MVP and an all-district quarterback. 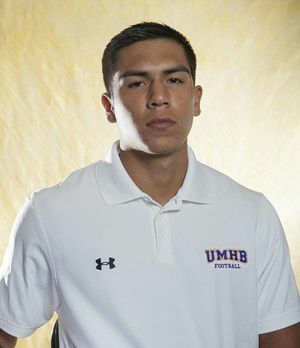 NCAA Division III national champion University of Mary Hardin-Baylor signed him in 2015, and he was on campus at the Belton school by fall — and that’s where he had an epiphany that changed his life. Not too long after he was issued his pads, Villarreal took notice that he was no longer an MVP. He was lost in the shuffle of 100 players, and he would have to grind, fight and claw for anything he got. High school was done. And today, after a journey that saw him change positions and sides of the ball while dealing with doubt, Villarreal is the Sam linebacker and the second-leading tackler for the No. 1-ranked UMHB Crusaders. He added his first career interception last Saturday in a 50-7 win over Texas Lutheran. The 5-foot-11, 195-pound junior was moved from quarterback to linebacker after his freshman season. At linebacker, he was behind in skills and on the depth chart. Villarreal ended up second fiddle to All-American linebacker Baylor Mullins. The Mission Veterans’ grad said that was one of the best things that could have happened to him. Villarreal said he entertained the thought of leaving during his difficult sophomore year but decided to stay. He said the UMHB coaches are relentless about skill development, film sessions and critiquing players even after a 40-point win. Villarreal added that everything about the program is done to put the team in the position to win a national championship. 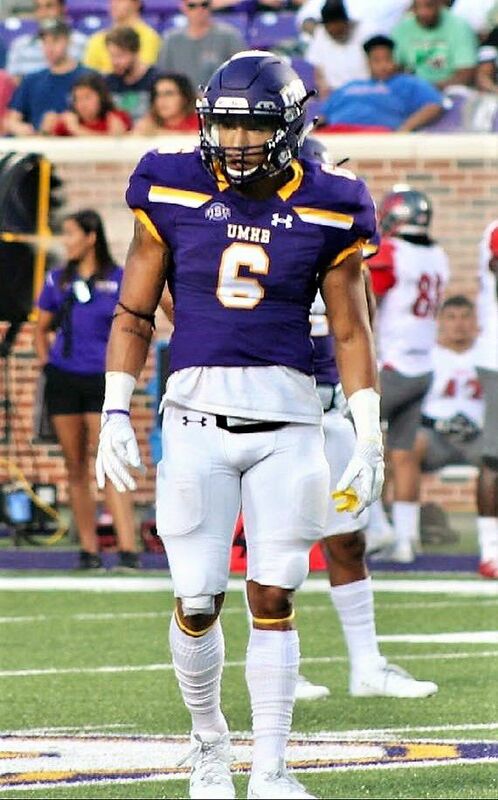 The international business major has helped UMHB to a 3-0 start with 10 total tackles (eight solo and one for loss), one recovered fumble and one interception. Saturday, the Crusaders travel to Georgetown to face Southwestern University, which is led by McHi grad Fred Hover. The quarterback is the team’s leading passer and rusher and has 11 touchdowns for the 2-2 Bulldogs. Villarreal said he if he was to pass on advice to Valley players trying to make college rosters, it would be to stay humble, put in the extra effort and never give up. 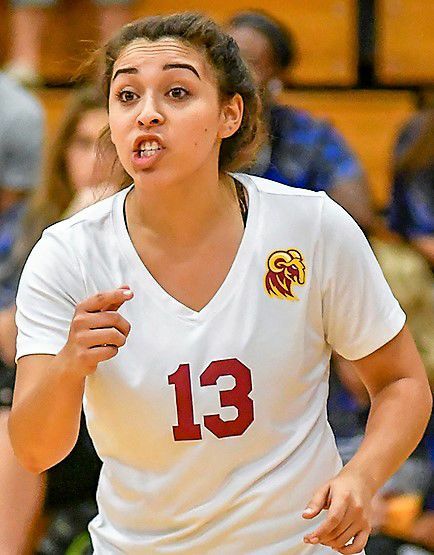 For Edinburg Vela product Maranda Washington, a libero on the Huston-Tillotson volleyball team, earning conference player of the week awards is getting old. The Red River Athletic Conference named the junior Defensive Player of the Week earlier this month. Though the honor was Washington’s first this year, she was recognized five times last season on her way to being a second-team all-conference selection. The 5-foot-1 defensive specialist is a floor leader for the conference-leading Rams (4-0 in the league, 9-4 overall). Washington has recorded a team-high 187 digs through 13 games this year after racking up 369 in 2016. Washington also has 27 assists and three kills. The former three-sport star at Vela also had a season-high 30 digs in a game this month. Huston-Tillotson, in Austin, plays in the NAIA’s RRAC, which includes schools such as Our Lady of the Lake and Wiley College. 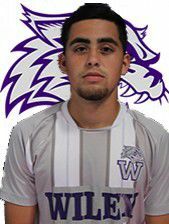 In his first year at Wiley College, former La Joya Palmview Lobo Jorge Garcia played in just five games and scored one goal. Is he different this year? The NAIA Red River Athletic Conference recently named the sophomore Offensive Player of the Week after he contributed to two of the Wildcats’ three goals in a Sept. 17 win against Doane University. In the seventh minute, Garcia was awarded a corner kick that Luis Pena Marquez, a Matamoros senior, volleyed into the net for the Wildcats’ first goal. In the 53rd minute, the midfielder Garcia scored his first career goal off a free kick en route to a 3-1 victory. Garcia, a former all-district offensive MVP, is a biology major at the East Texas school. 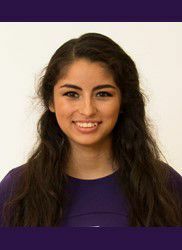 Former Sharyland Pioneer sweeper Taylor Marquez has continued with her defensive prowess at the collegiate level at Austin’s Concordia University. The 5-foot-2 sophomore, The Monitor’s All-Area Defensive Player of the Year in 2016, has started as a defender in five of seven games played this season. The Concordia Tornados of the NCAA Division III American Southwest Conference are 1-3 in league play and 5-4 overall this year. Schreiner University and Southwestern are also in the conference. Mary Paula Vela, a junior midfielder from Brownsville Porter, is also on the squad. 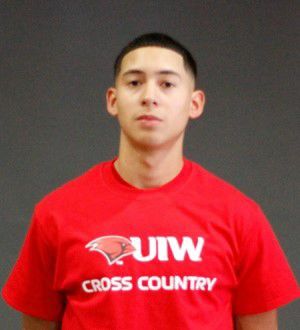 Incarnate Word University’s Adam Herrera is back on the cross country trail in his third year with the Cardinals. The Edinburg Vela product placed fifth at the Cardinals’ most recent meet, at Abilene Christian University’s Naimadu Classic. IWU took first place as team. Key for IWU is that the DI Southland Conference meet will be at the same course in about a month. Herrera didn’t run his fastest time, but he did mark a 26:12.2. At last year’s conference meet, a very young Cardinals squad could only manage eighth place. Herrera was second fastest on the team for that meet, and overall, he placed 42nd out of 97 runners.